The tune "Baby, It's Cold Outside," with words that seemed charming when FDR was in office, may land with a tone-deaf thud on the ear of today's listener. The call and response duet has a female voice trying to tear herself away from her date in myriad ways: "I've got to go away ... Hey, what's in this drink?" And finally, "The answer is no." But her declarations of "no" are far from final, with the male voice, wheedling "Mind if I move in closer ... Gosh, your lips are delicious ... How can you do this thing to me?" Cleveland's WDOK put its foot down where the female voice could not, announcing its ban of the song last week. "I do realize that when the song was written in 1944, it was a different time, but now while reading it, it seems very manipulative and wrong," host Glenn Anderson wrote on the station's web site. "The world we live in is extra sensitive now, and people get easily offended, but in a world where #MeToo has finally given women the voice they deserve, the song has no place." But he told NPR that he had no idea of the "tornado" he would face: hundreds of emails demanding the song be put back in rotation, more than ten times the number of requests he said he fielded asking him to yank it. "People are unbelievably passionate about their Christmas music, it's the one thing that you can't mess with," Figula said, adding that listeners rely on it "to reminisce to the good old days when life was easy and simple." 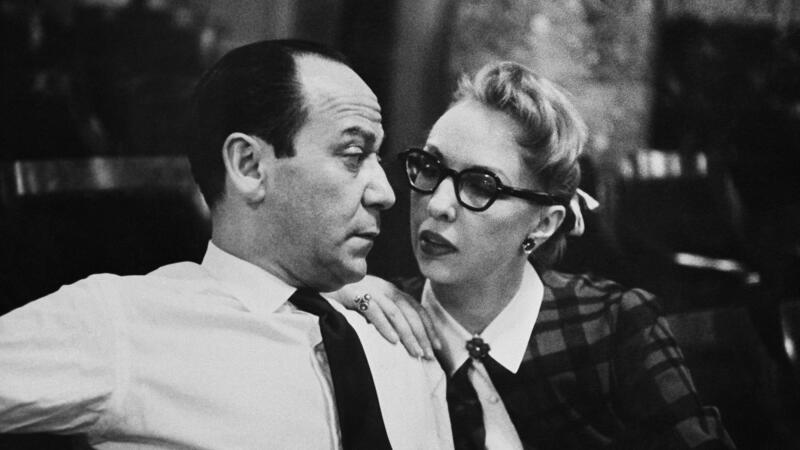 Finding common ground on "Baby, It's Cold Outside" has been anything but simple. A feminist defense of the lyrics points out that when they were written a woman with a good reputation had to protest a man's advances, even if she actually welcomed them, and the song's figurative woman is actually expressing her sexuality in a veiled era-appropriate way. Furthering the ambiguity, KOSI in Denver has done an about-face, first banning the song on Monday, then opening up a poll to put the decision to listeners. The results were unequivocal: the vast majority of the 15,000 respondents demanded the song's return, the station said. "While we are sensitive to those who may be upset by some of the lyrics, the majority of our listeners have expressed their interpretation of the song to be non-offensive," Program Director Jim Lawson said in a statement.